The most common method for product drying is to introduce hot air, thus evaporating the moisture contained within the product. However this is not ideal as the increase in heat and humidity increases the risk of mould and fungus growth. This in turn can cause corrosion to machinery and the extra heat can damage the product being dried. By using a dehumifier the conditions can be kept constant to prevent these destructive conditions from occurring. Product drying processes such as spray drying and fluid-bed systems can be significantly optimized using our energy efficient and highly hygienic dehumidification solutions. Drying of products e.g. 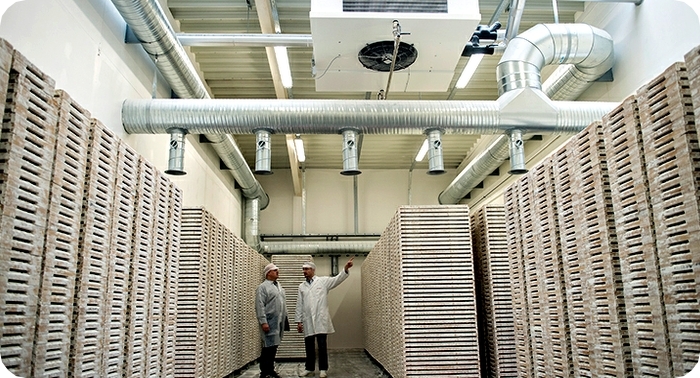 sausage, fruit and cheese requires a controlled humidity level to avoid growth of microorganisms and to ensure reproducible drying cycles year-round. The most common method for product drying is to introduce hot air, thus evaporating the moisture contained within the product. However, this is not ideal as the increase in heat and humidity increases the risk of mould and fungus growth. Raised humidity levels can also cause corrosion to machinery and the extra heat can damage the product being dried. By using Munters dehumidifiers, the conditions can be kept constant to prevent these destructive conditions from occurring. For demanding processes, such as drying of milk powder, coffee, yeast, etc. 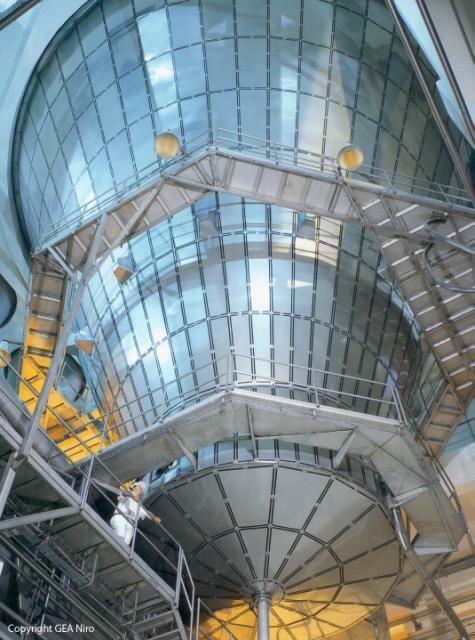 in spray towers and fluid bed systems, hygiene and energy consumption are major issues. Controlling the humidity level using our dehumidifiers ensures constant conditions around the year and provides an improved hygienic environment without growth of micro-organisms. During the adsorption process, the air passing through the specially designed Quantum™ rotor is dehumidified by up to 14 g/kg whilst also being heated, reducing the need for a post-heater in the process air. Contact us today for a complimentary assessment and let our Munters trained air treatment specialists recommend the correct Munters dehumidifier from the Munters Air Treatment range suited for your unique industry need that will increase product drying times and prevent mould and fungus growth.